What do you think of this Pink Piggy Steamer? 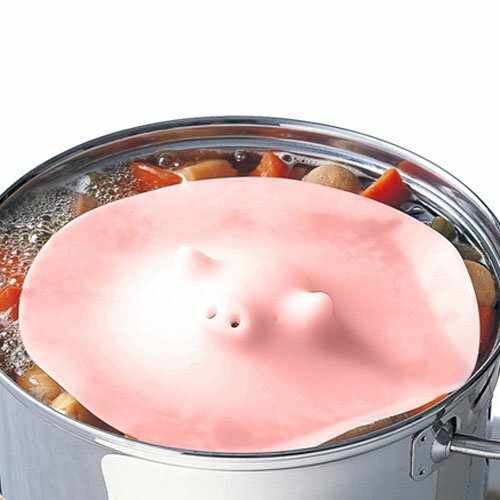 Who doesn't need a silicone steamer in the shape of a faceless, melting pig? • Silicone-made multipurpose lid can be placed directly over ingredients in a pot to help them cook evenly. • Also can be used as a jar opener. • It is very funny to watch the steam come out from its snout! I decided to order this for my MIL in Florida, hope she likes it!